Sub-Sand is housed in an unassuming brick building between Jackson and Jefferson on 6th Avenue South in the I.D. Good luck finding parking around here, you’ll need it. Or you might be lucky enough to work nearby. Just remember that if you do need to pay, it’ll be worth your while. Don’t let the outside fool you. Once inside, you’ll be transported to a delightful mash-up of Asian and American sandwich delights. The very personable proprietor, Tom Dang, is of Vietnamese and Chinese descent, and his menu reflects this. 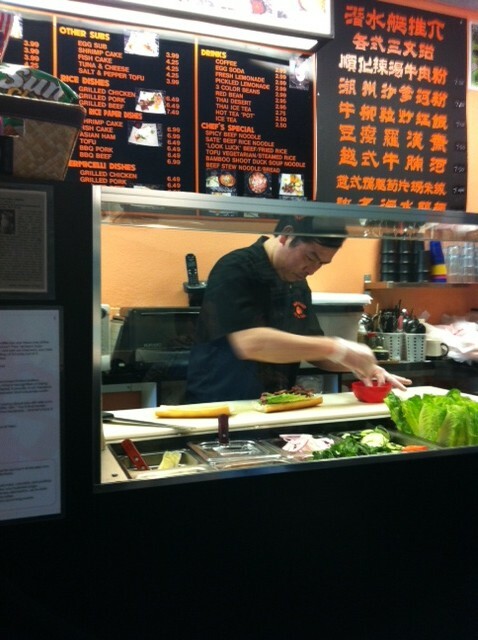 He and his family/staff work feverishly behind their spotless counter to painstakingly create fresh, interesting takes on the bahn mi slash sub hybrid. On the day of my visit, the sandwich Special of the Day was Seaweed and Tofu. Right? Not brave enough to go there, I decided to try a basic barbequed chicken. Fresh, glazed chicken breast meat, crunchy lettuce, tomatoes and special sauce. My sandwich buddy went with the barbequed pork. I’d love to tell you about it, but I didn’t get a single bite. Despite the delicious cuisine, another really great quality of Sub-Sand is the neighborhood-y ambiance. Mr. Dang chats with you, serves your sandwich on a plate, and asks you how you liked it. Did I mention this sandwich is $3.99? A couple of caveats, and they are minor. One: eating space is limited. A rumour is afoot that they will be doubling their space soon, which would be a good thing, unless you enjoy eavesdropping on your table-mates/new best friends. 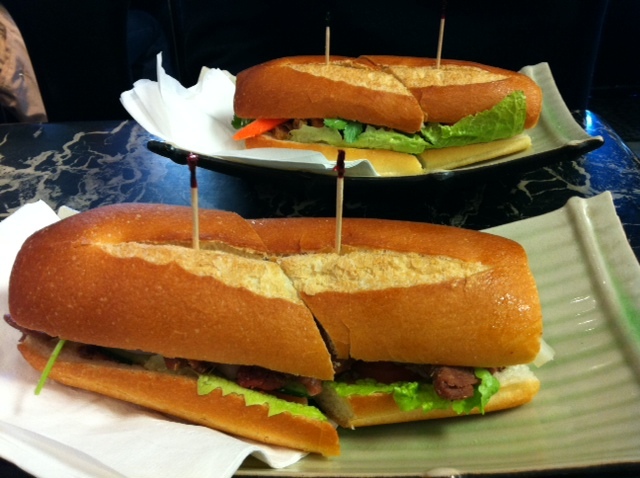 Two: my issue with any bahn mi-sized sandwich. One sometimes isn’t quite filling enough, and two is just too much food. I suggest supplementing with a little side snack, like the delicious, freshly prepared spring rolls, or something else small and snacky. Luckily, Sub Sand has an extensive menu of non-sandwich options to help you. 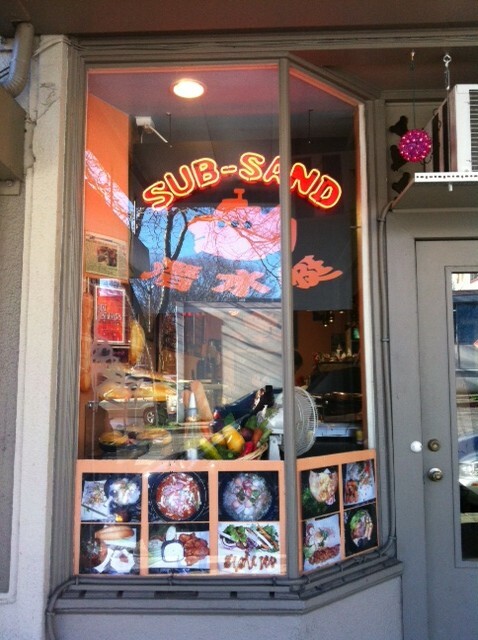 It’s obvious from the lunch crowd that Sub-Sand is a neighborhood fixture, and popular with everyone from young Asian students, start-up folks, and local government workers. 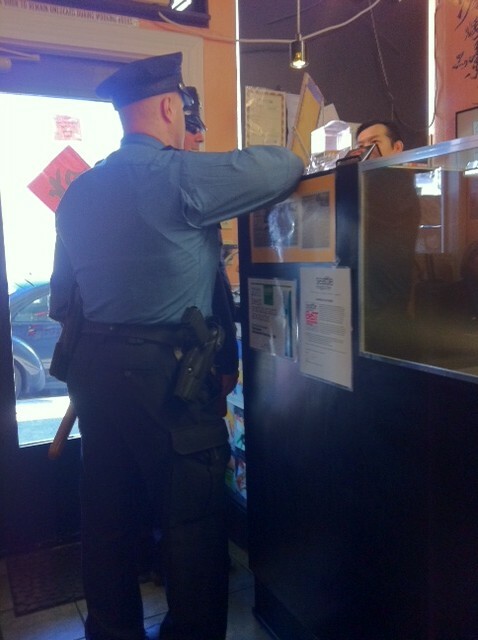 I knew I’d hit paydirt when the neighborhood beat cops came in for a chat. 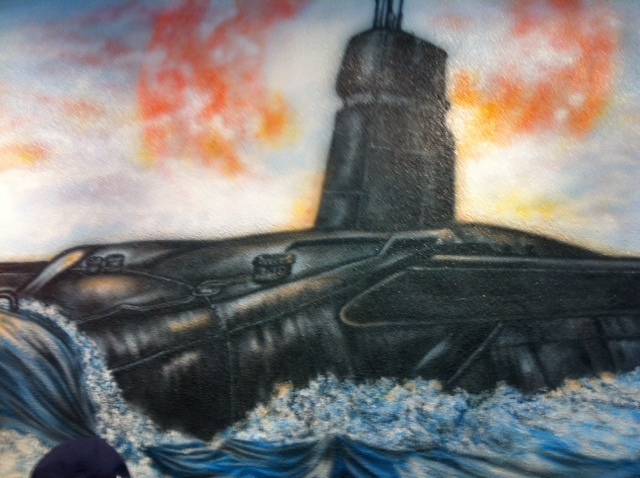 In fact, eating at Sub-Sand is a little like being in a musical right before everyone breaks into song. Definitely a throwback to what I sometimes think of as a bygone, locally-owned, sandwich shoppe era. I left satisfied, with a song in my heart, and plans to come back soon for the barbequed pork.